Volvo Cars will this month start production of its new XC60 mid-size SUV in Gothenburg, Sweden. The new XC60 will leave the factory 90 years to the month after the first ever Volvo, the ÖV4, saw the light of day on April 14th 1927. This first Volvo sold a total of 275 vehicles in its life time, which was modest even in those days. The new XC60 replaces one of the best-selling model in Volvo’s 90-year history. Volvo’s original XC60 became a phenomenon with climbing sales every years since it was first introduced in 2008. Seven years after it was revealed, it became the bestselling premium mid-sized SUV in Europe and in its ninth year it is still the best seller. The current XC60 today represents around 30 per cent of Volvo’s total global sales of 966,000 and this month the number of original XC60’s produced will surpass 1,000,000. The new XC60 is one of the safest cars ever made and offers the latest in safety technology, including the new Oncoming Lane Mitigation system which uses a steer assist to help mitigate headon collisions. Volvo’s semi-autonomous driver assistance system, Pilot Assist, which takes care of steering, acceleration and braking on well-marked roads up to 130 km/h, is available in the new XC60 as an option. With the new XC60 now on the market and gradually becoming available for order on markets across the globe, Volvo is set for another record year of sales in 2017. Volvo’s founder Assar Gabrielsson saw an opportunity for car manufacturing in Sweden after having observed the growing auto industries in the U.S and Europe from his position within sales at the Swedish ball bearing maker SKF, a supplier to the car industry. Pointing towards Sweden’s readily accessible steel, cheap labour and skilled engineers, he managed to convince SKF to invest in a spin-off car business called AB Volvo. The first mass-produced Swedish car was quite a conventional vehicle with elements of American car design, a wooden frame made of ash tree and beech, a 1.9 litre side valve engine and artillery wheels with wooden spokes. Only one colour combination was available: dark blue with black fenders. Despite all these changes over the last 90 years, one thing has remained the same, the company’s commitment to making the world’s safest cars. 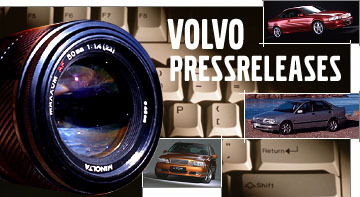 Follow this link to view the 90th Anniversary video from Volvo.